Easily Find IN-HOME CAREGIVERS near You! Simple & easy! Answer a few questions, and a care advisor will find trusted professional caregivers for you. In-Home Care for the Elderly? Given the choice, most seniors want to continue living in their own homes, rather than moving in with a relative, or going to an assisted living facility or nursing home. In-home care providers can help extend a senior's time at home. Some people begin having trouble accomplishing everyday activities like shopping, cooking, and taking care of their home or themselves as they grow older. For seniors who have health problems or age-related conditions that make it hard to get around or take care of themselves, home care might be the ideal solution. A home care agency can send a caregiver to the home to help them get dressed in the morning, fix a meal, or remind them to take medicine. You can get almost any type of help you want in your parent's home. The following list includes some common things people need. You can get more information on many of these services from your local Area Agency on Aging, local and state offices on aging, social services or nearby senior centers. Personal Care: This includes bathing, washing hair and dressing. Homemaking: Does your loved one need help with chores like housecleaning, yard work, grocery shopping or laundry? Some grocery stores and drug stores will take orders over the phone and offer delivery services. Cleaning services can help with laundry, and some dry cleaners offer pick up and delivery. Meals: Many home care agencies provide homemakers who can cook meals. Money Management: Paying bills late or not at all can become an issue as parents age. The process can be tiring or hard to keep track of for a person of any age. Are doctors' bills and health insurance claim forms confusing? Financial counselors, or geriatric care managers can help. Just make sure the referral comes from a trustworthy source. Medication Management: Home care workers who visit the home at a set time each day can provide medication reminders. Medicare might pay for a home health aide to come to the home to actually administer medications. Mobility: Getting around at home and in town when an aging parent has trouble walking or getting in and out of chairs can be difficult. Professional caregivers can provide increased supervision and assistance with mobility and transfers. Home care agencies also provide companion services that may include transportation for doctor's appointments, grocery shopping and other errands. Medical Care: Registered nurses (RNs) provide skilled medical care, including giving medications, monitoring vital signs, dressing wounds, and teaching family caregivers how to use complicated equipment at home. Therapists work with patients to restore or maintain their motor, speech and cognitive skills. Need in-home care for you or a loved one? Let us help. Complete our simple form and one of our care advisors will call. 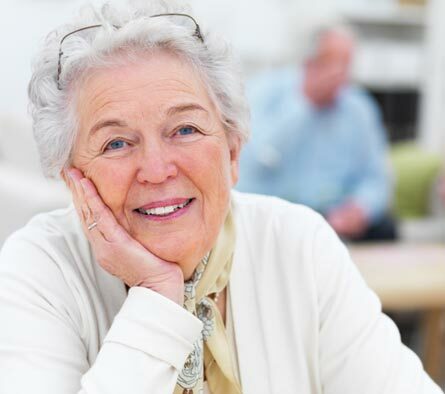 They'll understand your specific needs and schedule appointments with local in-home care providers that we've vetted. What are you waiting for? Find a caregiver near you - start now!